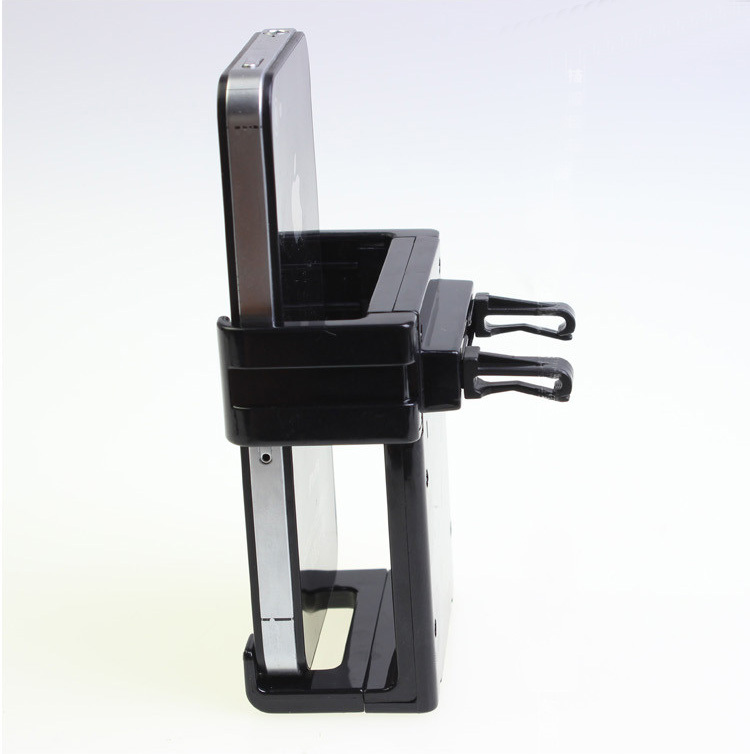 Compatible with almost all Mobile Phones, width range from 5.8-8.5 cm, including iPhone, Samsung Galaxy, HTC One,Blackberry, etc . 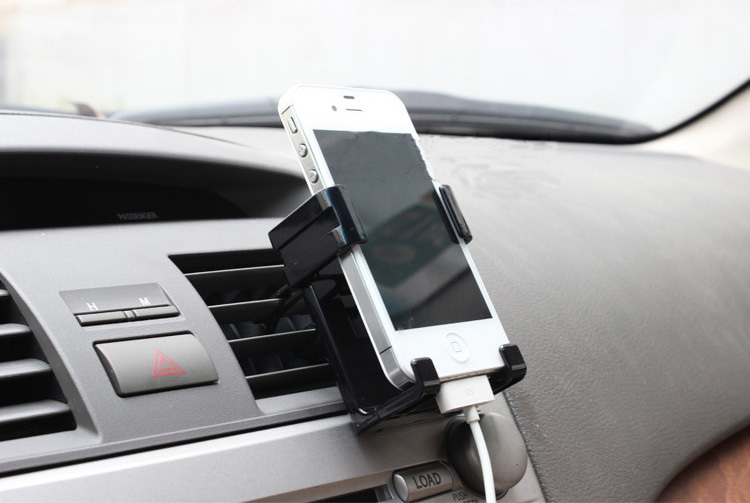 Cheap but good made, small yet pretty helpful to hold your cell phone on the car air vent, recommend! I'm sure this mount doesn't work in all situations, but in our vehicle there are 3 small vents in a row in the center of the dash. Using the center one for this mount worked perfectly, putting the phone high enough to be in line of sight and easy to access without blocking any other controls (radio, etc) and low enough not to block dash indicators. It may block some airflow from the vent, but in our application there are other vents on each side. I was surprised at how sturdy the mount is while driving. I use my phone as a gps for navigation, and somewhat expected it to bounce around a bit while on the road. To my surprise there is very little of this, and the mount seems quite steady. 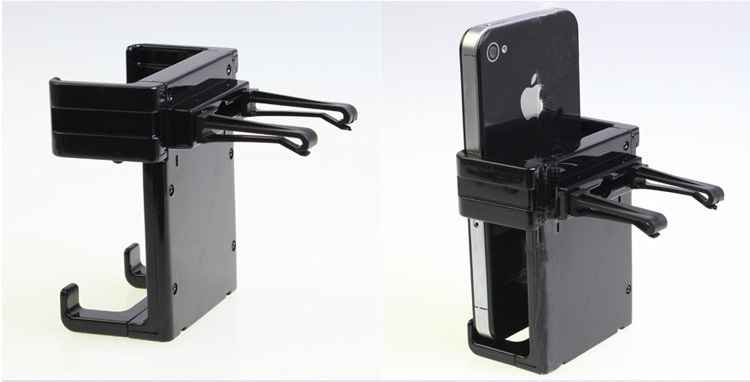 The phone is easy to insert and remove, and will hold steady in either horizontal or vertical positions. I really couldn't ask for more. The perfect solution for my situation.